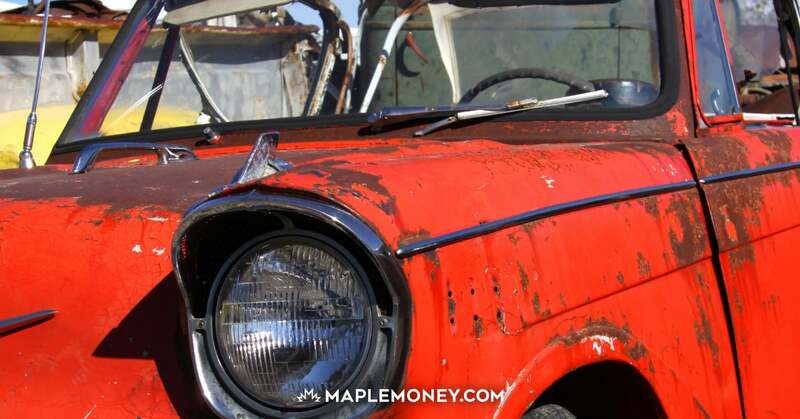 Is your home and auto insurance up for renewal soon? It might be a good idea to look around online to see what quotes you can get from other companies. I just recently saved almost $900 a year on my combined home and auto insurance just by checking online with my CAA membership (AMA here in Alberta). Insurance is one of those things that many of us “set and forget.” It’s easy to just buy a policy and then stick with it indefinitely. Unfortunately, this can result in paying more than you should over time. Like so many other prices, insurance premium rates go up and down. Home and auto insurance rates (auto rates especially) are often based on your habits. Over time, you can expect these types of rates to drop. This is especially true if your coverage needs change, or if you become more responsible. Unfortunately, not all insurers will automatically lower your rate. If you want a lower rate you need to ask for it. And it makes sense to shop around at least once a year for a lower rate. Consider: If you can find a rate that is $20 a month lower, you could save $240 a year. Over time, that can start to add up. So many of us are willing to spend hours look for the best price to save $5 on a single item, but aren’t willing to take a few minutes to shop around for better insurance rates… something that can save you money every single month. Thanks to technology, it’s possible to quickly and easily identify the best prices on various insurance policies. Your online insurance quote can provide you with the information you need to make an informed choice about a policy. In many cases, insurance quote web sites provide you with numerous quotes from many different companies. This allows you a wider range to choose from. Don’t assume you’re stuck with the first quote you are given; an online quote is an awesome place to start. I’ve previously tried Kanetix, which will display quotes from many different companies, but in my case the quotes had been no better than my current insurance at the time. Even if you don’t end up changing insurance companies, knowing that you have the lowest price can bring peace of mind. You know you are saving as much as you can, and that you probably won’t get a better deal elsewhere. But you should keep checking, just in case the situation changes later on. Below is a small list of websites that I’m aware of where you can get an online quote. Once you have your online quotes, you might consider showing your current agent. If you can get a lower quote elsewhere, it makes sense to give your current insurer an opportunity to at least match the rate. Unless you are unhappy with the service you are receiving, there is no reason to change things up if your insurer is willing to match an online quote. When getting your online insurance quote, though, it’s important to make sure that you are comparing apples to apples. You need to double-check to make sure you are getting a quote for the same coverage, whether it’s a home or a car. Without an accurate quote, it’s not fair to ask your insurance agent to reduce your current rate. Look through your policy, and make sure you are getting a quote for comparable policies. I found that having my current insurance details such as driver grid rating and home replacement value helped me complete the form properly for the most accurate quote. Also, be aware that some of these online insurance quote web sites are lead generators. This means that your information might be shared with an insurance agent. As a result, you might be contacted quickly by email or even by phone. Don’t feel pressured to make the switch immediately. Be ready for the annoyance that can come with being pestered, and prepare yourself to let the agent know you are still making a decision. With a little shopping around, it’s probably possible for you to save a great deal on your auto and home insurance, thanks to online insurance quotes.